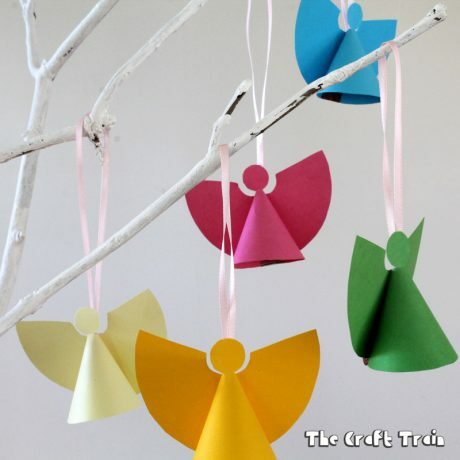 Make some sweet mini paper angels this Christmas! Just this week I was shopping in the supermarket and decided, completely on impulse, that we must have a new Christmas tree this year. The kids adore the ugly little fibre optic one my husband bought a few years ago because we needed the smallest tree possible for our tiny inner city terrace house, but we have more space now and I like a pretty tree at Christmas. So what did I do? I picked up the first tree I saw in the supermarket Christmas aisle and put it in the trolley. It looked pretty on the box. What did I not do? I did not look at the height of it in centimetres written clearly on the front of the box. Whoops. This thing I bought is 2m tall, and we need to fill it with decorations. 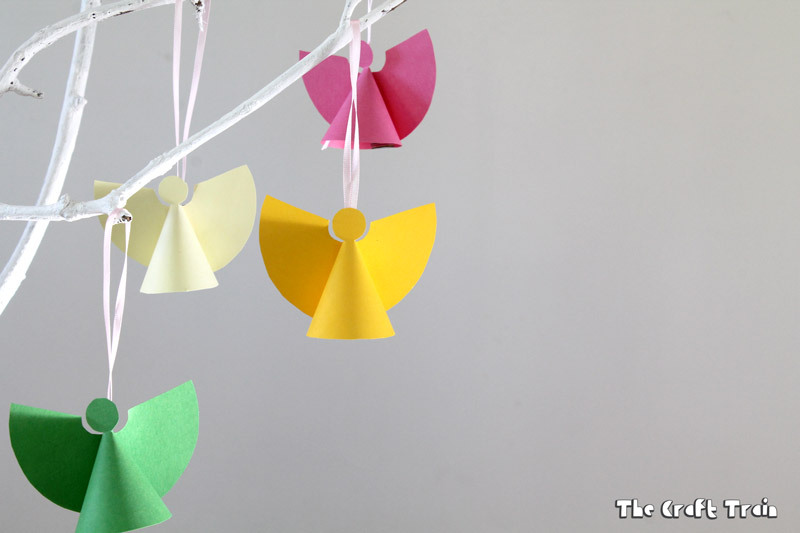 That’s where these little paper angels will come in handy. 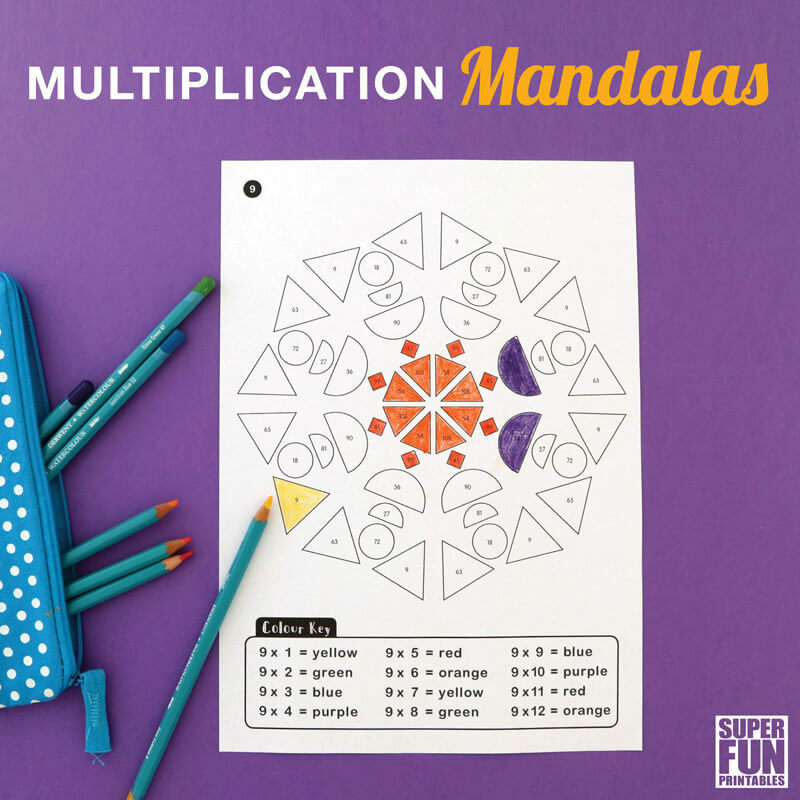 Print them out, cut them out and fold them together, it’s really that easy (and quick!). The best idea is to print the angel template out directly onto the paper you’re going to use but mine was too small to fit nicely in the printer. 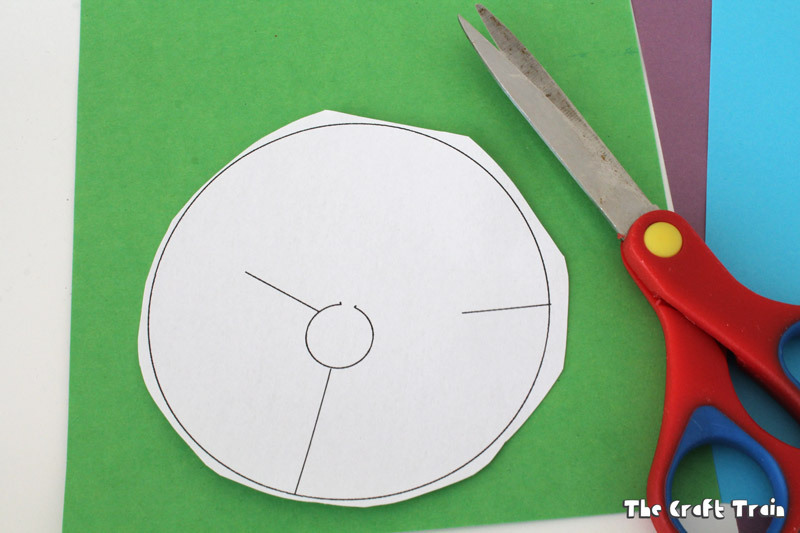 Here I have held it over the top of the paper I’ve used and cut them both out together. 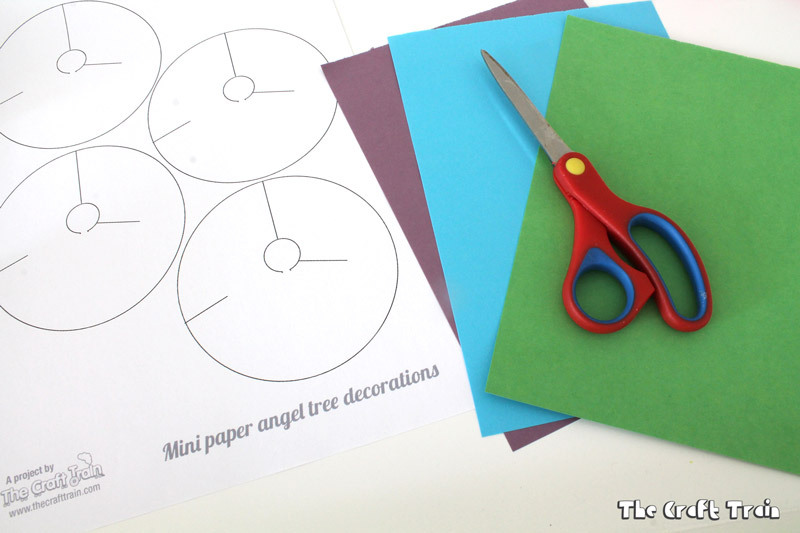 To create the angel shape you need to make a cone shape with the paper and slot the two slits on opposite sides of the template together. This will leave you with the little round head popping up at the top and one quarter circle-shaped wing on each side. Once you get the hang of this it’s quite easy. Secure the angel together with a piece of tape. 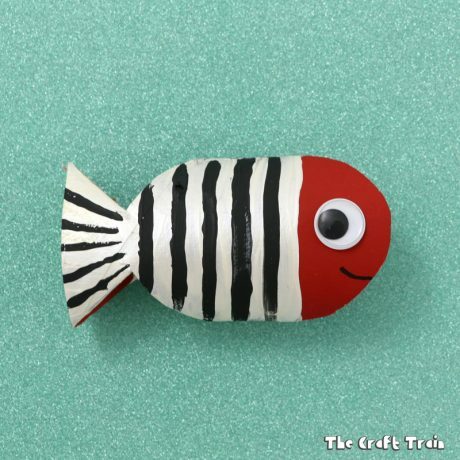 The washi tape idea seemed good at the time but clear magic tape would probably look better and you can stick it on the inside for a more seamless finish. 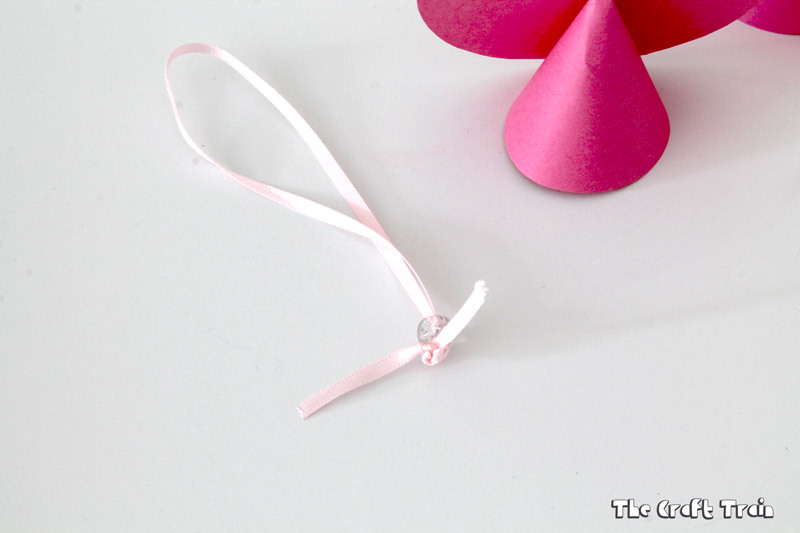 Tie a bead to the end of a piece of string. 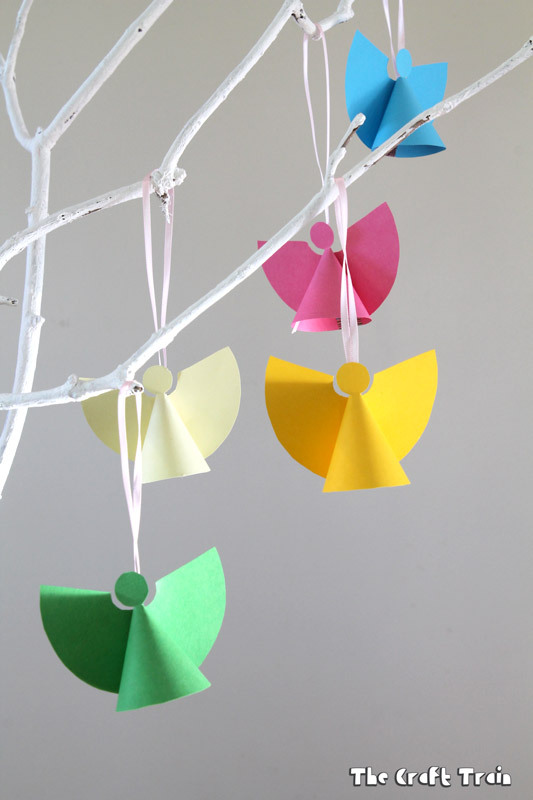 This stops it sliding out the top hole when you hang it on the tree. Pop the ribbon through the holes at the top and there you have it! 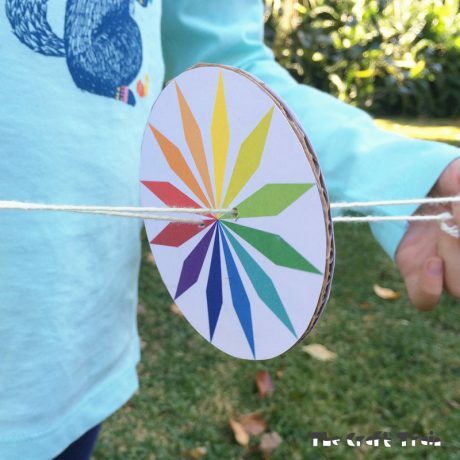 I’ve made them in a rainbow of colours in plain construction paper but you can make them in any colour, print or specialty paper you like. I love how bright and cheerful they turned out, perfect for our huge new tree when it goes up soon. If you like paper crafting you might like our latest ebook! 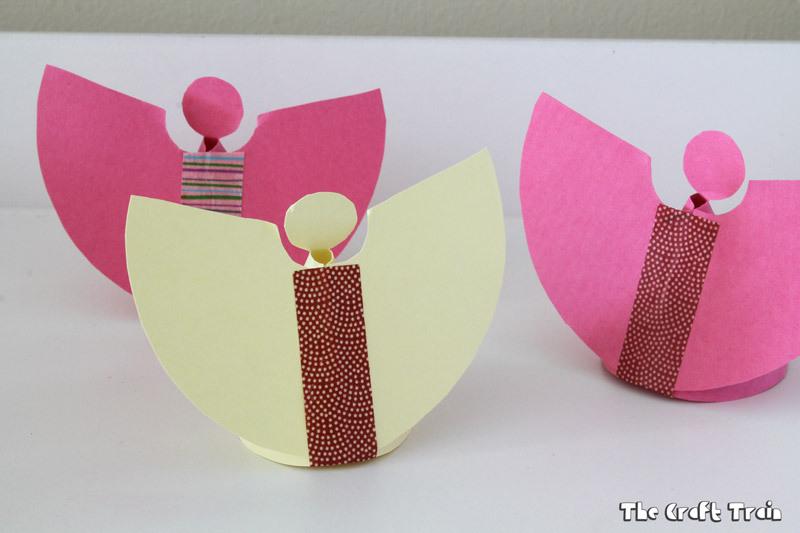 These mini paper angels are one of 12 printable Christmas paper craft templates featured in the book. • This Christmas pudding play dough smells divine! These are so simple and so beautiful! 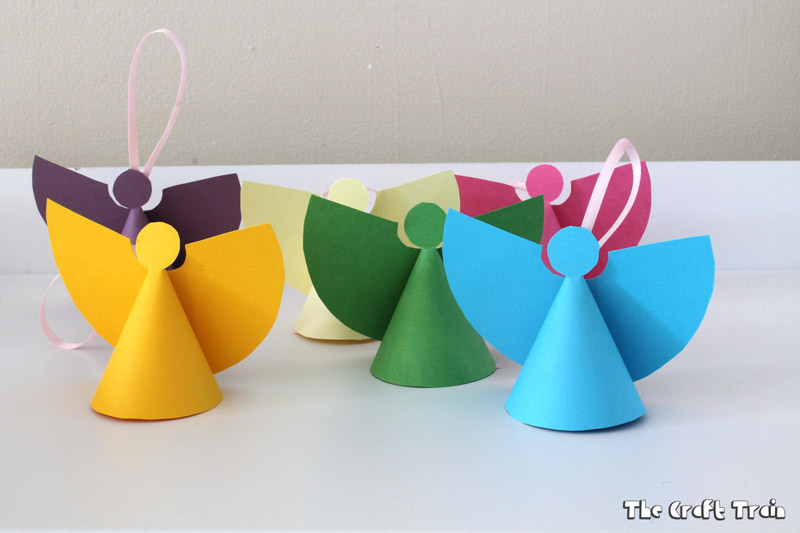 They will be perfect for our guardian angel lesson with my Kindergartners tomorrow morning – thank you so much! 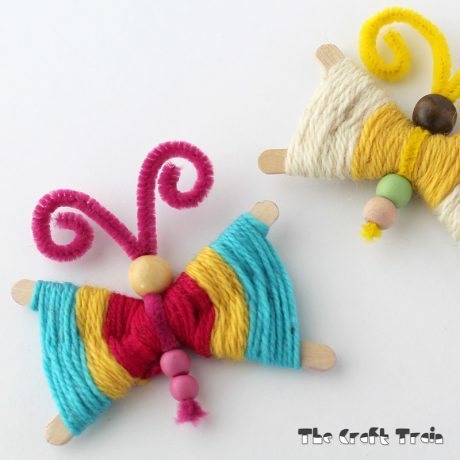 Hi Sandy, the bead is tied to the end of the loop, and when you bend your shape into an angel by sliding the slits together a small hole is left there at the back of the head. It’s the hole at the tip of the cone shape made by the body. Thread the string through the hole and the bead stops it from being pulled all the way through. Hope that makes sense. Thank you so much! This was exactly what I had in mind as a 10 minute craft to finish my advent Bible study. Thanks for providing the template for me. Perfect! I love these! I made some with doilies. So pretty! 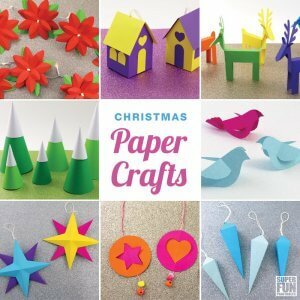 It’s ok, I got there in the end, I had to make the cuts a little longer ;o) I’m making a bunch of them to decorate the Christmas tree. I think my grandchildren will love them. These are really cute……….Thanks for providing the template for me. Perfect! How fun these will be. Thanks for sharing your inspiration. I love this!! It will be perfect as the topper to our Christmas card tree. We made a couple ornaments out of laminated wrapping paper (double-sided) as testers, I didn’t have any ribbon, so we used gold pipe cleaners and they looked like halos. 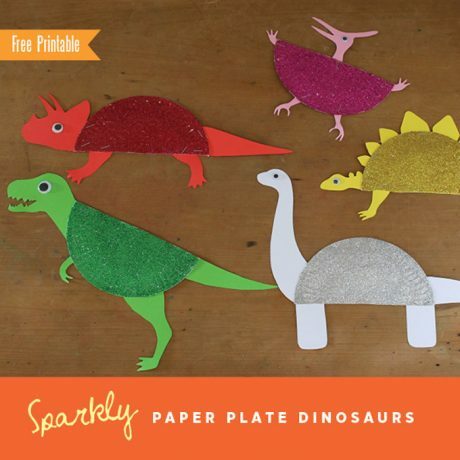 That’s a great idea with the sparkly halos!